This past weekend Andrew and I went to Portland, OR for the weekend for our Anniversary. 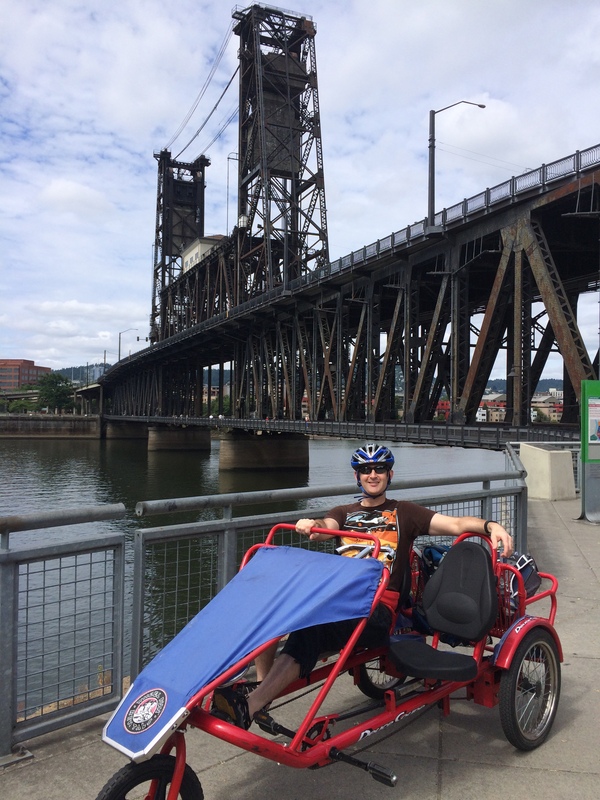 In amongst drives along the Columbia River Gorge to Bonneville Dam, and a trip to Bob’s Red Mill for some fun ingredients, we also rented a Deuce Coupe from Kerr Bikes in Tom McCall Waterfront Park, and took a short ride along the Waterfront Park Trail. 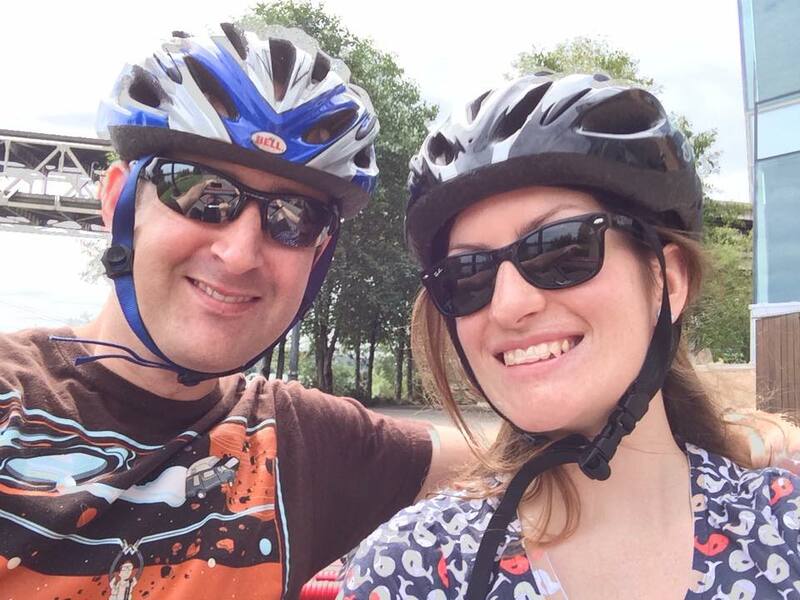 They rent regular bikes, tandems, Surrey bikes and little go-karts style pedal bikes, with all proceeds going to charity. 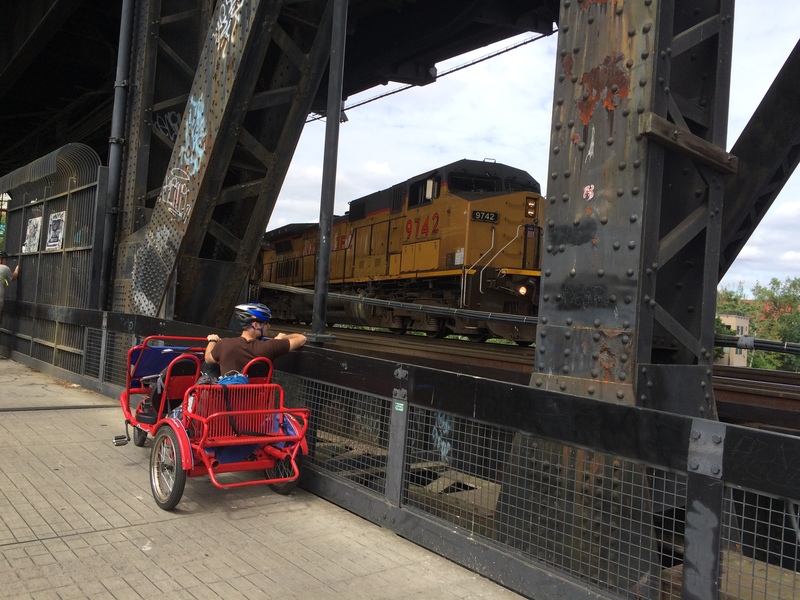 The there-and-back-again route took us down to Marquam Bridge, then up to and across the Steel Bridge. While on our way back across the bridge, a freight train came across….. The ride also crosses underneath the bridges of Hawthorne, Morrison and Burnside, and goes past the site of the Saturday Market, which despite the name, is also open on Sundays from March through Christmas Eve. I would recommend it to anyone who enjoys a little bit of low-key exercise by the river on a Sunday morning!